user-generated Headlines and reports on this page = 2 news items. Page - 3. A recent sample of North West Trust's ranked Lancashire Care NHS Foundation Trust as the top performer in reducing the amount being spent on clinical agencies. 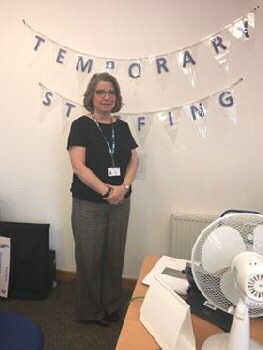 The Temporary Staffing Department is a large team with both clinical and admin workers registered who work in various placements within their local areas. The team also provides bank workers to NHS facilities outside of the Trust. The Trust was ranked the top performer for reducing clinical agency spend by providing a temporary staffing service seven days a week. A number of years ago the Trust won the contract for community services in Central and Pennine Lancashire. This contract almost doubled Trust's workforce and put an increasing demand on the staff bank as the organisations transferring over did not have viable staff banks and relied heavily on agency use, the increase in workforce then resulted in a doubling on agency spend. To address this The Temporary Staffing began a review of the service in order to identify the changes needed to increase the bank fill rate and reduce agency usage. Wendy Simpson, Temporary Staffing Manager at Lancashire Care NHS Foundation Trust said:- "Prior to this piece of work, The Temporary Staffing Bank was fragmented and new contract wins meant that our workforce increased, putting a high demand on agency usage. In order to address the issue, the team worked extremely hard to ensure that all functions were providing by 1 team, allowing for greater control of advertising and central control of agency usage. This has proved to be successful as demonstrated by the increase in the number of shifts filled with bank workers and reduction in agency usage. Being part of our Temporary Staffing Bank means that people can work flexibly around their personal lives, it provides variety in the location of work and means people are able to choose what shifts they want to work and when. Not only do people gain NHS experience, but working on the bank can lead to jobs with longer term contracts. Meaning when a permanent opportunity opens up, bank staff are perfectly placed to fill the role. By providing a Temporary Staffing Bank we are able to actively recruit people of all ages, background and levels of experience. This supports us to understand the different needs of our patients and enables us to provide the highest quality of care and treatment!" The Team is actively building on the success to date and is now looking continue this work and look at addressing the medical agency spend by increasing the size of the medical staffing bank. The Trust also plans to look at collaborating with neighbouring Trust's top streamline agency bookings. For more information about the Temporary Staffing Department please visit the Trist's website. Dot-Art Schools is now welcoming applications from Schools in the Liverpool City Region and Cheshire to showcase the artistic skills of Year 5 and Year 9 students. Registration is open until Christmas for mainstream and Special Educational Needs Schools to sign up for the highly anticipated 2017 to 2018 Art Competition. The annual competition entries can be of any theme and will be shortlisted by noted arts professionals, culminating in a public exhibition with winners selected by an online public vote. A prestigious award ceremony is hosted for students and their families where the overall winners and runners up are chosen by a special guest judge. This year we can reveal that the exhibition, formerly held at St Georges Hall, will be hosted by our project partner Liverpool John Moores University at the Liverpool School of Art and Design. Dot-Art Schools project manager Carolyn Murray explains:- "The competition is designed to celebrate the creative talents of young people and develop the next generation of rising stars, so we are delighted to hold the public exhibition showcasing the pupil's artwork to their parents, family and the wider community in such an appropriate and inspiring setting as the art School." Dot-Art Services who manage the Schools' competition are delighted that world famous hairbrush brand Tangle Teezer has once again agreed to be the principal sponsor of the programme, Matt Lumb, CEO of Tangle Teezer commented:- "With innovation, creativity and design at the very heart of Tangle Teezer, we are proud supporters of Dot-Art Schools and the creativity they promote and encourage." Since its inception in 2012 the competition has thrived, with over 200 Schools taking part to date and more than 4000 young artists. Dot-Art Schools is committed to championing creative education in Schools and through its Inter-School competition, gives young people confidence and pride in their creative abilities, skills used across a vast number of career pathways. Looking back to the competition's inaugural year the overall prize was awarded to James Murphy from St Margaret's Church of England Academy. Years later James is confidently forging a career in the arts, having curated his own exhibition in Liverpool's Domino Gallery and is now in higher education studying creative media. In 2012 James said:- "I have always had a love of art yet never thought of following it through as a career until the Dot-Art Schools win. Since then I took a huge interest in animation and have been in contact with several designers and animators at Disney, Florida who admire my work and have helped me develop in my aspirational career so far." 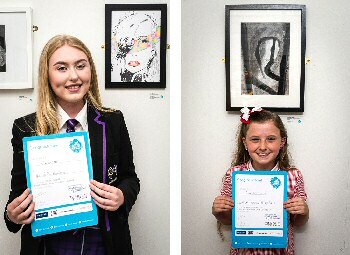 The overall winners for primary and secondary categories over the past 6 years have showcased a broad range of artistic themes, reflecting the diverse work Schools are doing in art and design. Past winning Schools have included St Hilda's CE School, Christian Fellowship Middle School, Rainhill High School, St Patricks Primary School, St Bede's Catholic Junior School, The Sutton Academy and Knotty Ash Primary School. As well as inviting Schools to sign up to the competition we are currently seeking companies who believe in the importance of creative education to become Dot-Art Schools Champions. Many Schools would love to take part in the Dot-Art Schools programme, but budget cuts have made it a challenge, so for a small contribution you could enable a School to take part in our programme. Schools can sign up to the programme until 20 December 2017. Find out how by visit:- Schools.Dot-Art.Com or send them an email to:- Schools@Dot-Art.Com or call:- 0345 017 6660.